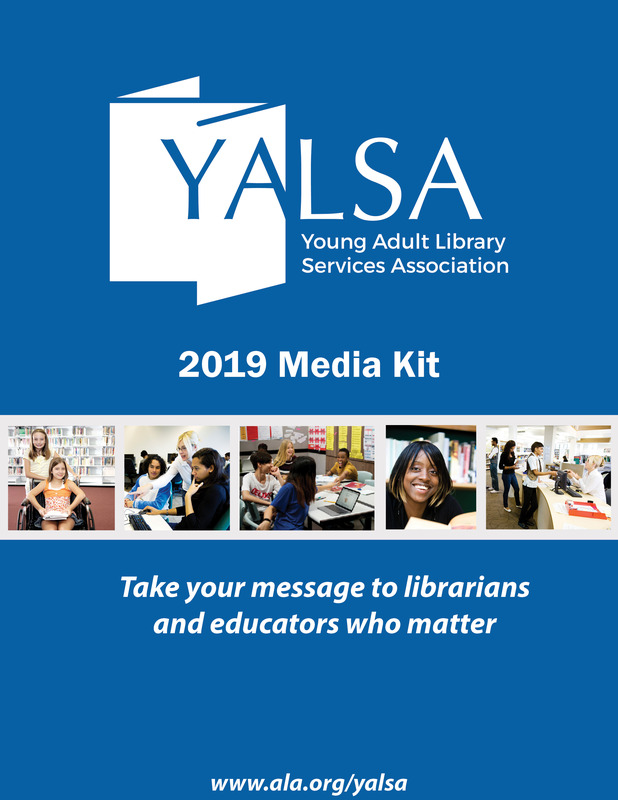 By Kat Reynolds April 1, 2019 April 1, 2019 Committees and Volunteer Opportunities, Election, Governance, YALSA Info. Get ready to vote in this year’s YALSA election! To help you make informed decisions, we’re sharing interviews with each of the 2019 YALSA Governance candidates. Voting will take place from Monday, March 11 through Wednesday, April 3. To help you further prepare for the election, be sure to check out the recording of our YALSA Candidates’ Forum from March 7th! The YALSA Fiscal Officer shall be an elected member of the YALSA Board, shall serve a one-year term of office and shall also serve on the YALSA Executive Committee. The primary responsibility of the Fiscal Officer is to work with the Board, Financial Advancement Committee and Executive Director to ensure the fiscal health of the association through proper financial oversight so that there are adequate resources for the organization to fulfill its mission. The Executive Committee works with its ALA counterpart to build ties between the two organizations and helps with the fiscal oversight of YALSA. A full description of the Fiscal Officer’s duties and responsibilities can be found here. You can learn more about ALA elections here. What best qualifies you for being Fiscal Officer? I have been an active YALSA member since joining ALA as a student in 2009. I was formerly the Financial Advancement Committee (FAC) Chair. As FAC Chair, I worked closely with the Fiscal Officer to meet fundraising goals. 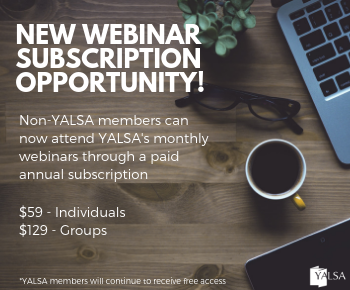 The committee provides oversight and enhancement of the Friends of YALSA program–particularly in fundraising promotion and donor recognition to support member awards, grants, and scholarships. I am currently serving as a YALSA Board Member-at-Large–a role I’ve held since finishing my term as FAC Chair two years ago, so I understand the commitment being a board member requires. Why did you decide to run for a YALSA office? What excites you about serving on YALSA Board? Being on the YALSA Board has built my confidence in advocacy and drives me to do things I never thought of doing before—such as presenting and sharing my teen services knowledge to other professionals, writing to congressional representatives, taking advocacy leadership roles in my local community, and applying for funding. Being on the YALSA Board makes me a better librarian, a more informed advocate, and a more skilled mentor to teens. I would also like to make an impact on YALSA’s next Organizational Plan and am excited about transitioning from the current Plan. What do you see as the primary role of the YALSA Board? 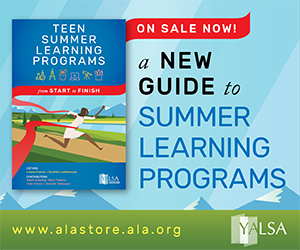 Although the primary role of a board member is to set policy (not necessarily carry out policies), the creation of the strategies to carry out the policies will drive the mission of YALSA. Ideally, the board develops techniques that are not only feasible and in the best interests of our members, but is also fiscally appropriate, aligns with the mission, and puts teens first. How do you envision working with the YALSA Board to further the mission of YALSA? As a board member, I envision finding solutions to implement strategies, strengthening my critical lens in the process, and asking how can we do better and what do members need. As Fiscal Officer, I envision my role is to work with the Board, staff, other division fiscal officers, and Financial Advancement Committee to ensure fiscal health and to keep the Board abreast of fiscal developments within ALA and other divisions. What areas of YALSA’s Strategic Plan do you think you can best contribute to? Why? I’ve served on all three of the Standing Board Committees; each Board Committee oversees a major strategic goal: Funding & Partnerships, Advocacy, Transforming Teen Services. As Fiscal Officer and former FAC Chair, I would best contribute to Funding and Partnerships since the primary responsibility is to work with the Executive Board to ensure the fiscal health of the organization. 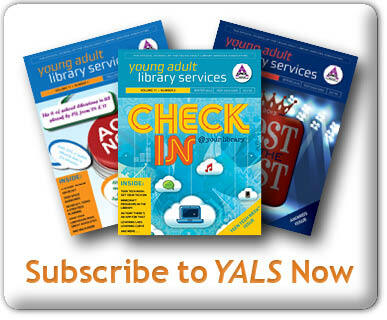 What is the most pressing issue facing YALSA today? 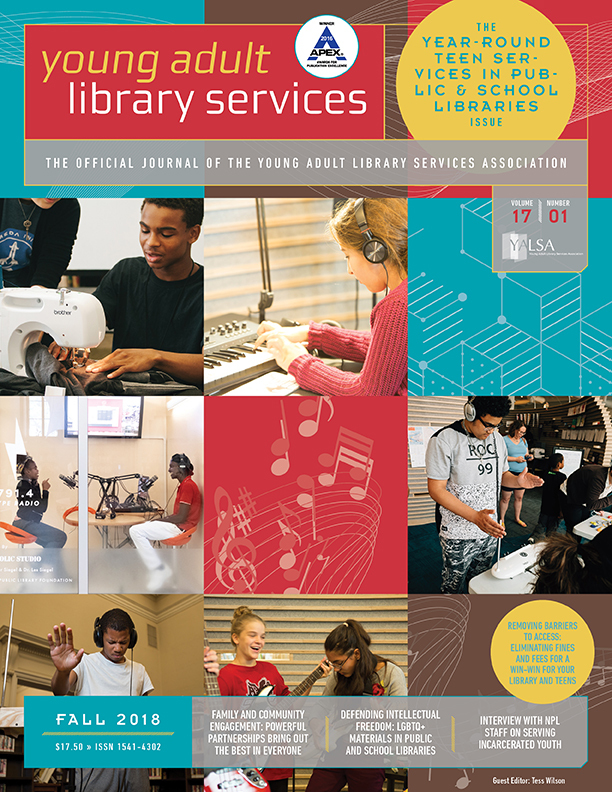 Like many organizations, member engagement is the most pressing issue for YALSA. In order to sustain the Organizational Plan, keep YALSA relevant, and ensure fiscal health, member engagement should be strong. This means making strides to cultivate diverse relationships and retain the interest of those who serve teens in any capacity through or with a library. If elected, how will you help YALSA members (in their daily work, in their careers, other)? I’m passionate about member engagement and have some ideas in how YALSA can improve in this area. Local engagement is valuable in connecting with members’ daily work and communities. Since assuming the role of teen librarian at Pasadena Public Library in California about five years ago, I’ve significantly revamped our volunteer program and community partnerships, increased teen program attendance by 220%, and doubled teen program offerings. Additionally, the teen volunteers are staying longer and are more engaged in our library and community services. These successes were partly due to my involvement with YALSA and YALSA resources. I hope to engage members to enrich and improve teen services and help them with challenges they face in their careers. What else would you like voters to know about you? The cast of my background is wide, so I try to make all decisions with thoughts of how various levels of teen advocates will view it, and how these decisions can sustain the organization. I truly believe in YALSA’s mission and that the support, resources, and services provided are crucial for library staff. Tagged 2019 YALSA Election, Governance.